Malaysia Airlines (MAS) has done it again. Not losing a plane (sorry, we had to clarify) but tweeting something seemingly harmless that managed to enrage people everywhere. This is not the first MAS marketing campaign to create a negative reaction among the public. It seems like just yesterday (actually it was two months ago) when they initiated a campaign called, “My Ultimate Bucket List”. The term is commonly used to refer to a list of things to do before dying (or kicking the bucket), so there was little surprise that this caused the ire of people who are still suffering the aftereffects of the MH370 and MH17 incidents. A little while later, they promised that “the possibility of better things ahead is greater than what we leave behind.” This promptly had the public accusing MAS of abandoning the search for MH370. Really, who comes up with these marketing gimmicks? Their marketing team needs to surrender their 1st edition of 1001 Ways To Be Unintentionally Offensive. Ever since the MH370 and MH17, the airline has been treading on thin ice. Larger airlines have been forced to shut down after suffering from similar disasters. The airline has not been earning revenue for a number of years, and actually cut down their workers by 30%. They should probably work on hiring back some of their Public Relations people. I was preparing myself for worse. Users responded with a series of insults and accusations. Theresa Powell tweeted, “Probably not the best choice of words for an airline that doesn’t know where one of its (planes are) – just saying”, while others thought of it as offensive and inappropriate. While I disagree with his choice of words, I do agree that people are being unnecessarily angry at something that’s not meant to be offensive in the slightest. 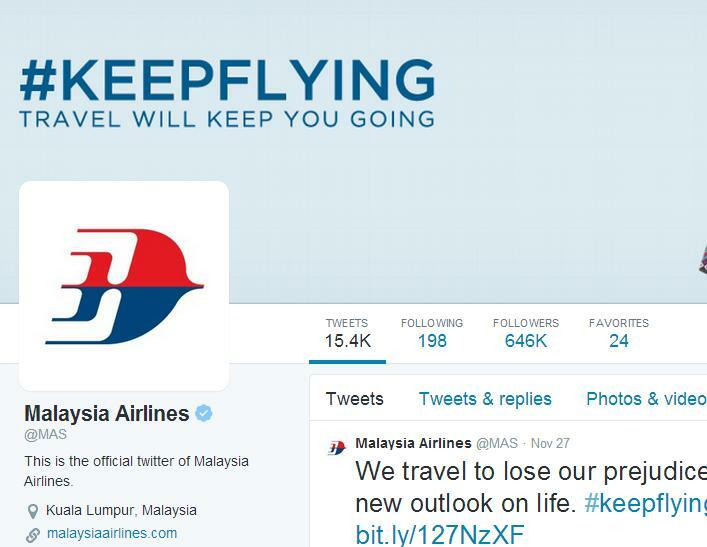 The promotional tweet, according to Malaysia Airlines, was “intended to inspire travelers during this holiday period to explore destination and deals”. And really, that was all I would have gotten from the tweet. They’re obviously hinting that they have promotions to certain places and you’d want to take a look if you haven’t decided on where to go yet. I agree that MAS needs to be extra careful in choosing their words, but isn’t this a little bit of an overreaction? It’s like getting angry at a person wishing you Merry Christmas because you’re not Christian. Who has time to get upset at trivial things like this on the internet? It’s not meant to be offensive, and it’s not hurting anybody. Sure, MAS could use with a better marketing team, but assuming that all their posts are directed towards the loss of the two planes is just overkill. 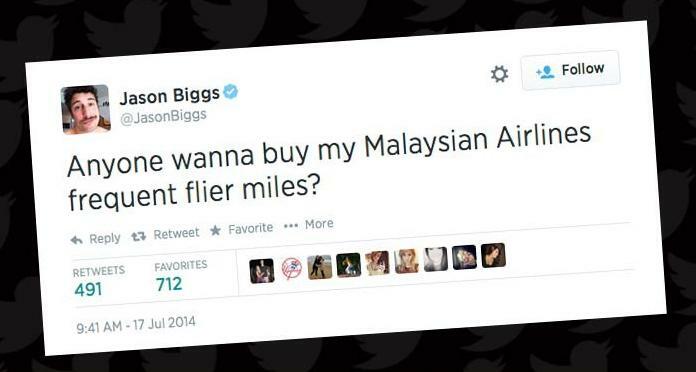 Surely MAS isn’t so crass as to use this as a marketing scheme to gather publicity right? Contrary to the popular saying, there is such a thing as bad publicity. 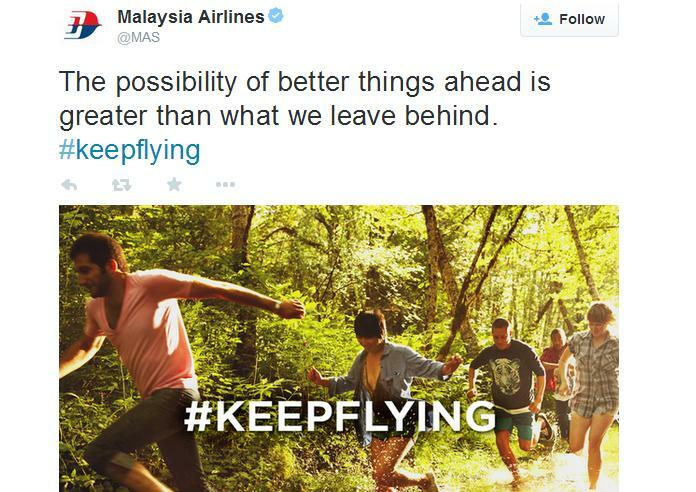 Reminding the customers of the missing plane and MH17 is probably the last thing the MAS marketing team wants to do. Some people can see insults and become unnecessarily defensive when there is no need to be. Thankfully, there are those who are less… sensitive. Some tweeters have come to MAS airline’s defense, telling people to cut the poor airline some slack and ignore the haters. There are better things on the internet to get angry about.